Circa 1930-1940. 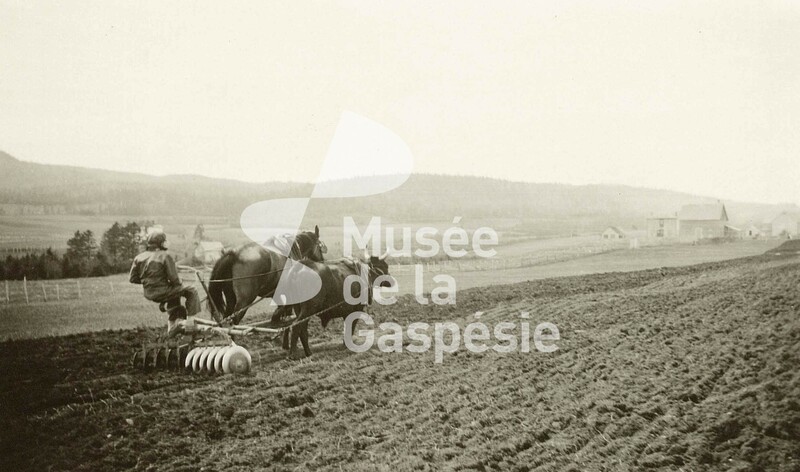 - Photograph of a man preparing the ground. He harnesses a horse and a beef. Musée de la Gaspésie. Collection Chantal Soucy . P247/10/15.